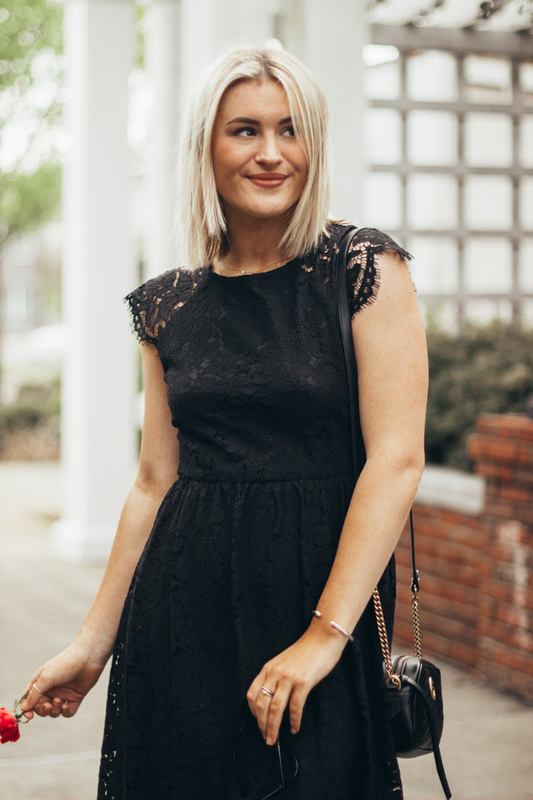 My whole life I have heard women speak of the "little black dress" and it's importance. I never used to understand when I was younger, but as I have aged I have learned of it's significance. Any time you need a dress for a function, whether it be cocktail or a ceremony, it is so easy to reach for. As time has gone on, I realized that I don't have the black dress I have always longed to reach for in those occasions. I think the most important thing about the black dress should be that it is conservative (in some way or fashion), while still being fun, and should be of a certain quality that lasts you for years to come. I love this dress from kensie because it meets all of those requirements, and then some. I love the cap sleeve, but I also appreciate the fact that it isn't a full one (because ya girl likes to raise her arms to the roof and this one is fully hailey daily dance approved). *Thank you to Kensie for sponsoring this post!